In the final installment of the Kilenya Series, Jacob Clark and his friends only have two months to prepare for their enemy’s return—an event which is sure to bring war—and to discover the recipe for the special antidote that will cure the Lorkon. As things become more and more dangerous, Jacob is surprised to find help in the most unlikely people and places. 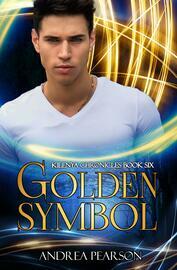 Things look up briefly when Azuriah agrees to share the well-guarded secret of the Golden Symbol. With its help, Jacob may have a chance against the Lorkon, but even so, he and his friends are greatly outnumbered. Will they be able to find the recipe and create the antidote before the Lorkon arrive, or will Eklaron—and Earth—fall into the hands of the evil empire for good?